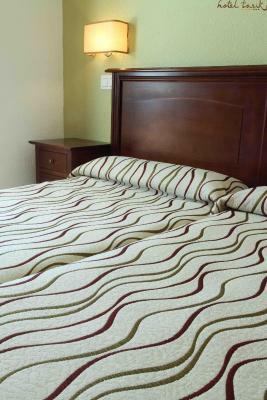 Lock in a great price for Hotel Tarik – rated 8.9 by recent guests! Large room With a private balcony was nice. Breakfast was large and had a big Variety of options. We did well for two days, but would not have been there for a whole week. 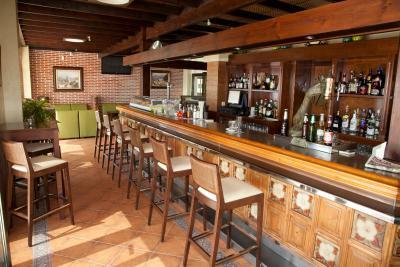 Not being a huge resort style hotel encouraged us to take advantage of the close by restaurants, bars & amenities. -Very very clean. -Very friendly staff. -More private than other hotels. -Not many kids while I stayed. -Didn't have to get up to early to get a good spot by the pool. -Says 3star but can't see why it's not a 4star or more. -Great selection for breakfast in the morning. -Left my wallet in the taxi when leaving for home and the hotel sorted everything. Within 20 minutes they had the cab returned to the airport. Couldn't be happier with this place. This was our third visit to the Tarik. 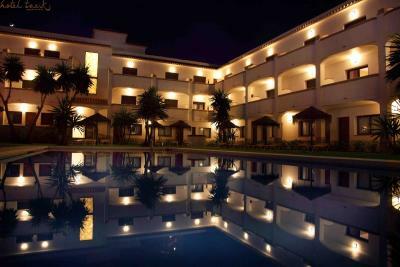 It is an attractive little low rise hotel, very clean and well designed around the swimming pool. Rooms are simple, beds and pillows comfy and air con effective if a bit noisy. The snack bar area is lovely, as is the food and all the staff are friendly and obliging. The hotel was very clean and beautifully decorated. The staff were very helpful and friendly. 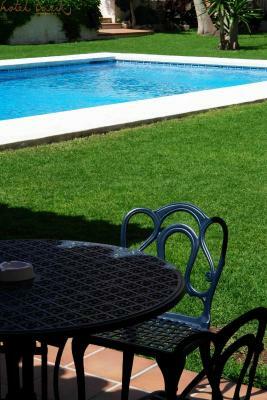 The pool area was well maintained and immaculate. Food was very delicious (above standard Hotel Food - I would say). Room was nice and spacious with balcony. Beach is just across the street. The breakfast buffet was a good start for the day, the location at the promenade. Quiet rooms. Hotel Tarik This rating is a reflection of how the property compares to the industry standard when it comes to price, facilities and services available. It's based on a self-evaluation by the property. Use this rating to help choose your stay! 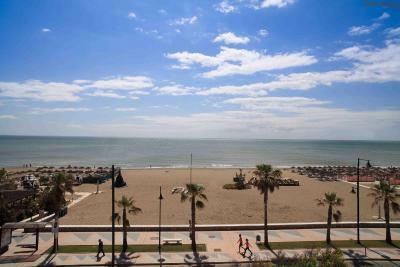 Hotel Tarik is located on Torremolinos' Playamar Beach, just a 15-minute drive from Málaga Airport. 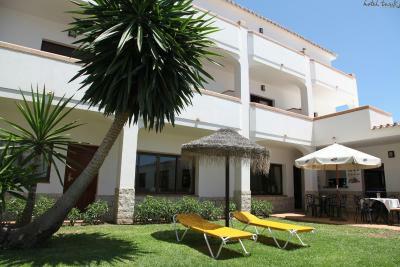 It is a traditional Andalusian building with an outdoor pool and rooms with satellite TV. 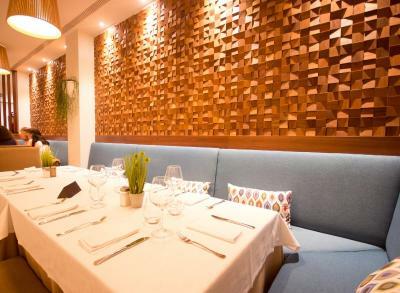 The air conditioned rooms at the Tarik feature tiled floors and simple décor. 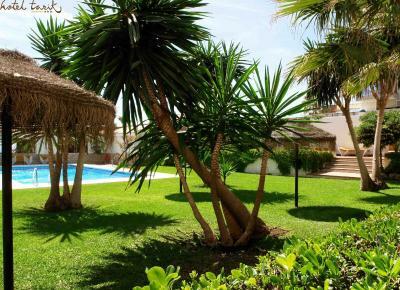 Each one has an LCD TV and a private bathroom, and many have a balcony with sea views. The restaurant serves a daily buffet breakfast. There is also a pizza restaurant and a cafe-bar with a big screen. 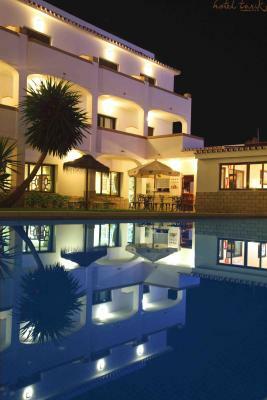 The staff at the 24-hour front desk can provide information about what to see and do on the Costa del Sol They can also help booking tickets for guided tours, live shows and other events. 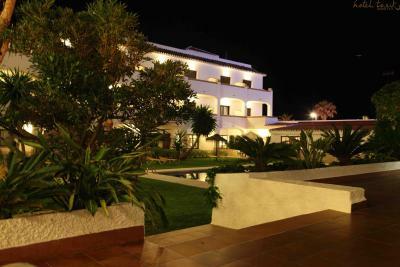 Parador Málaga Golf Club is a 10-minute drive from the Tarik. 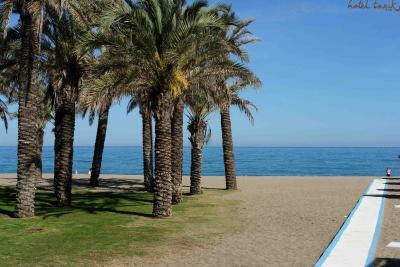 Central Málaga is a 20-minute drive away. When would you like to stay at Hotel Tarik? 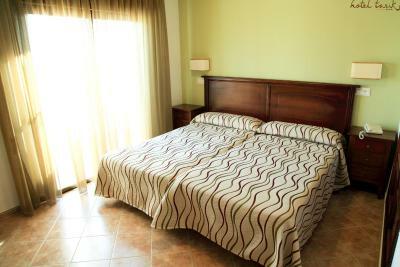 This room comes with 2 single beds or 1 double bed on request, subject to availability. Please note that these rooms do not have a terrace nor balcony. 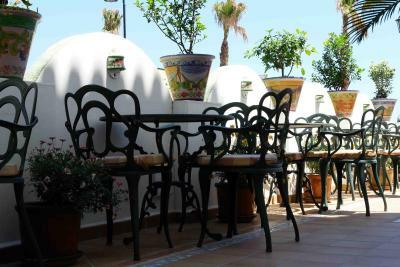 Featuring a terrace with side sea views, this air-conditioned room has tiled floors and simple décor. There is an LCD TV and a private bathroom. This room has a terrace with side sea views, and comes with 2 single beds or 1 double bed on request, subject to availability. House Rules Hotel Tarik takes special requests – add in the next step! Hotel Tarik accepts these cards and reserves the right to temporarily hold an amount prior to arrival. Half board includes dinner. The hotel does not have a lunch service. 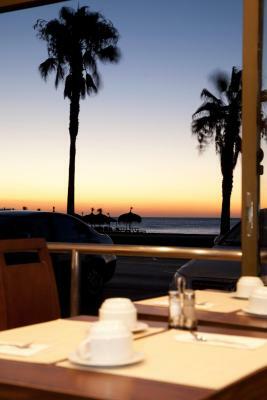 Torremolinos is a place with no history and no charme. Minor thing, there were no place to put the soap in the shower. I loved the location - just yards from the beach. 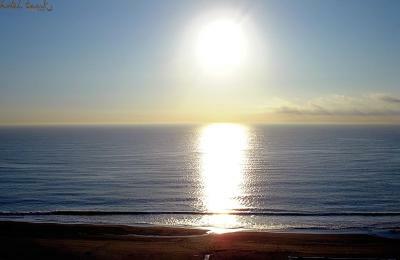 I stayed there March-early April and everything was very quiet, and I could hear the sound of the waves from my room and balcony. The breakfast buffet was excellent, as was the supper buffet. Both had a mixture of hot and cold foods, all freshly prepared and enticingly displayed. 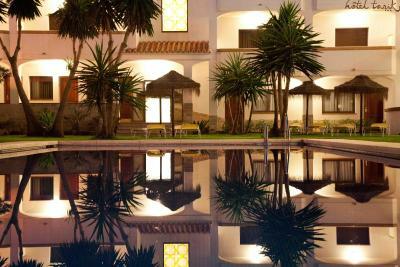 The whole hotel was spotlessly clean, there was a well tended and pretty garden round the pool. The staff were very helpful and friendly, happy to chat and give advice about where to go and how to get there. I felt very well looked after! There was a Wellness Centre offering various treatments and I enjoyed a head massage. 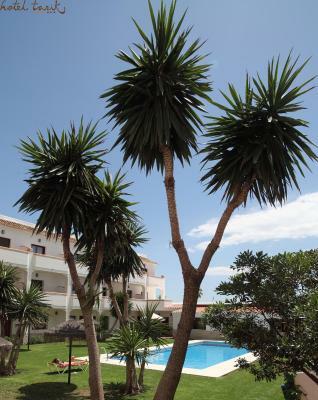 Great location on a long stretch of promenade perfect for long walks! Great breakfast and the shop down the road rents electric scooters so much fun ! The buffet dinner did not seem to offer too much choice. It would be nice if the hotel offered conditioner and hand lotion in the bathroom, not only shower gel. 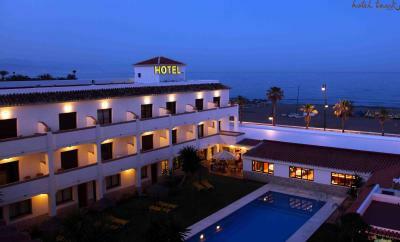 This is a nice little hotel with a great location by the beach. 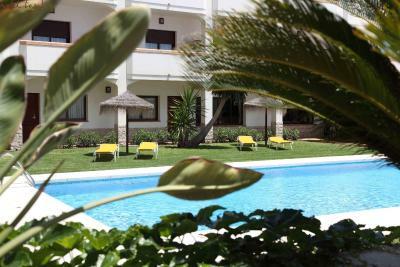 The room was clean and spacious with a balcony overlooking the pool area and the sea. I also liked the cute little lobby. Good size bathroom. Excellent location. Good value for money. Clean. 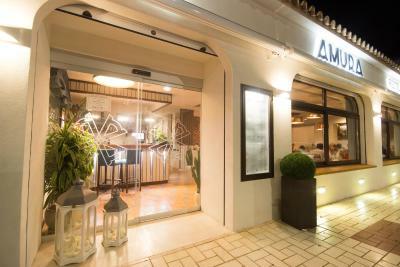 Location close to the beach, fantastic breakfast, helpful and friendly staff.